Inside of the TRINITY DAC we have two dedicated high performance OCVCXO (Oven controlled Volatge controled X-tal Oscillator). The added “voltage controlled” feature allows us to tune the frequency to 1ppb (parts per billion). These customized TRINITY Oscillators are running at 22.579,2MHz (512 x 44.1kHz) and 24.576MHz (512 x 48kHz). An excellent “regular” X-tal oscillator has a tolerance of 1ppm (Parts per million), That is a factor of 1000 between both designs. 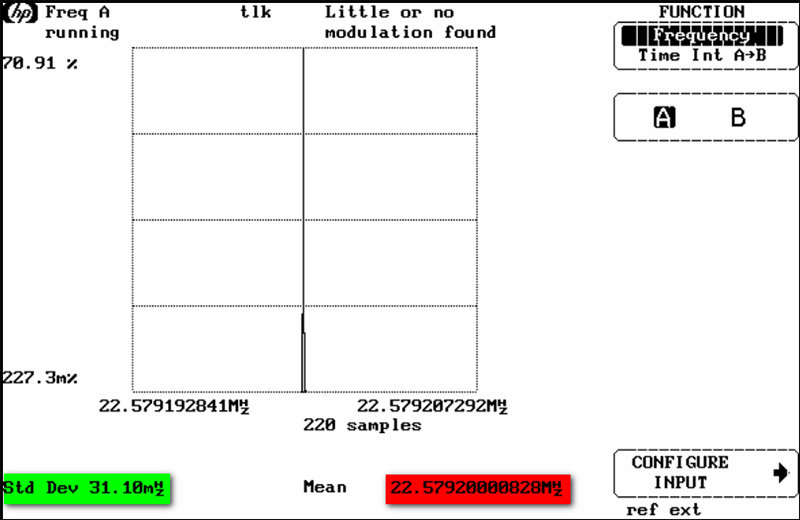 (red)Frequency Accuracy of the TRINITY OCVCXO 22.579,200,008,28MHz shows the accuracy is better than 10mHz. (green)Standard Deviation of 31.10mHz represents the extreme low jitter performance. To measure these oscillators you need a reference clock which is even better. So you have to use a Rubidium Master Clock. The most measurement instrument have a high accuracy 10MHz refrence clock oscillator inside, but allow also to use an even better extrenal source. The meausrement above was done with a Modulation Domain Analyzer and an external Rubidium Reference Clock. Nowadays it is much easier to get such Rubidiun clocks. http://www.thinksrs.com/products/FS725.htm?wv_initiative=EDN:%20Gen&av_offer=FS725&utm_content=Wlppr&utm_source=EDN&wv_audience=Gen&utm_campaign=EDN:%20Gen:%20FS725&utm_medium=mag which includes also a driver stage and starts with a retail price of 2795USD. Please note these oscillators are running at 10MHz, but it should give the interested people a rough idea how much such outstanding oscillators are. 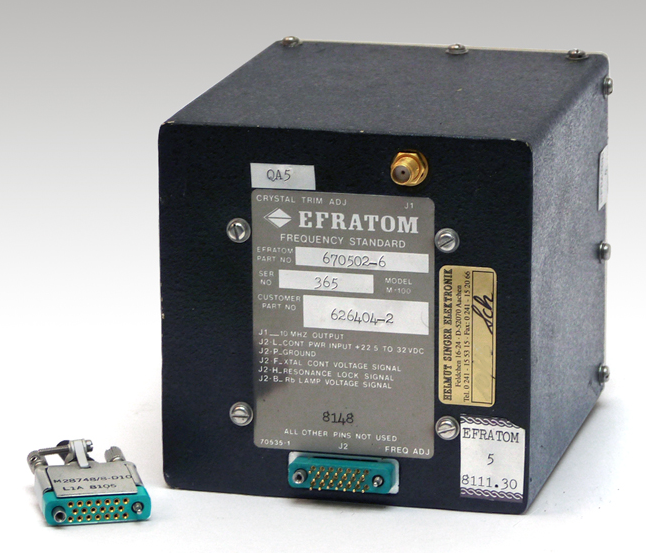 For the diy people I would recommend a “Efratom M100”, which are offered on the used market for roughly 500Euro. These parts were used in the base station of cell phone network. If such a based station is renewed they replace the oscillator and these devices land on the used market even with outstanding good paramters.